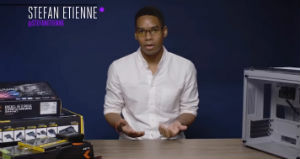 Vox Media has targeted a YouTuber over a critical reaction video of The Verge’s highly criticized “PC Build” how-to. The company sent a DMCA takedown notice to YouTube, claiming that the video infringed its rights. While Vox may have hoped to bury the video, it move swiftly backfired. The Verge is typically known as a news operation that’s fairly critical of copyright abuse. The site has repeatedly highlighted problems with YouTube’s Content-ID and copyright takedown system. Just this week it reported how YouTube is being used for extortion scams, an issue that we covered last month. The site also covered the Article 13 plans in the EU, with a headline stating that it threatens the Internet as we knew it. Given the above, it’s surprising that a video from The Verge is now at the center of the latest YouTube copyright takedown mess. The trouble started earlier this week when YouTuber Kyle was informed by YouTube that one of his videos was removed following a takedown request from Vox Media, the parent company of The Verge. Kyle allegedly infringed the copyrights of The Verge’s “PC Build Video,” which was published last year. The video in question has been widely criticized as the “how to” made several crucial mistakes, according to experts. The accompanying The Verge article remains online today, with corrections, but the video in question was pulled from YouTube. However, the numerous reaction videos, in which YouTubers responded to the mistakes, are still up. This included Kyle’s response video, which is typically covered by fair use. But, apparently, Vox saw reason to take it down. Not by some automatic Content-ID claim though. No, this was an actual takedown notice, which is typically done manually and results in a ‘strike’ on the channel. The precise reason for the takedown is unclear but many people believe that Vox was trying to bury the negative responses. If that’s the case, it would be a typical example of takedown abuse, something The Verge may want to look into. If burying the criticism was the goal this certainly backfired, since what we have now is a typical example of the Streisand Effect. All of a sudden, hundreds of thousands of eyeballs are being drawn to the not-so-accurate how-to video, generating even more negative responses. Paul’s Hardware has a good overview of the original video, the response, and the early aftermath, and many others have jumped on the story since. The good news is that all the public outcry has paid off, for Kyle at least. He filed a counter-notice and the video was swiftly restored. According to Kyle, YouTube sent the following message to The Verge. TorrentFreak reached out to Vox Media for a response but thus far we haven’t heard back. In the meantime, here’s the now-uncensored video in all its glory.